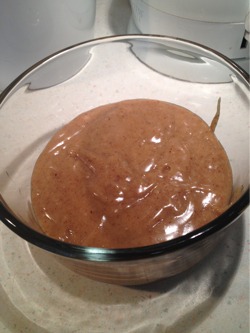 This raw vegan caramel is incredibly easy to make! 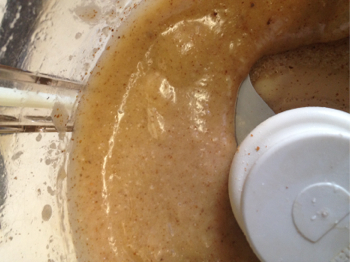 It starts out like a thick sauce, but you can put it in the refrigerator and it will thicken up enough to be more like a frosting (which you can then spread on our Gluten-Free Raw, Vegan Fudge). Top that combination with organic coconut flakes, and you have vegan German Chocolate Fudge that is also raw and gluten-free! 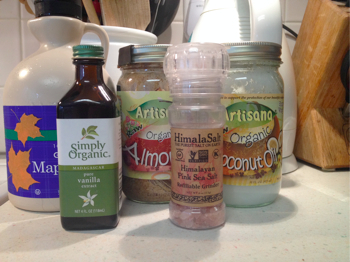 For this recipe you will need coconut oil, almond butter, maple syrup, vanilla, and salt. Let it blend until completely blended, and then let it blend a little more. Really, that’s all there is to it! As soon as it’s ready, it will be at its most liquid, gooey stage. After it cools down you can use it to frost things such as brownies or fudge, or to make our Raw Vegan German Chocolate Fudge! 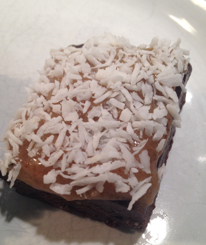 Previous Article « Gluten-Free Raw, Vegan Fudge Recipe that Doesn’t Need to be Frozen!